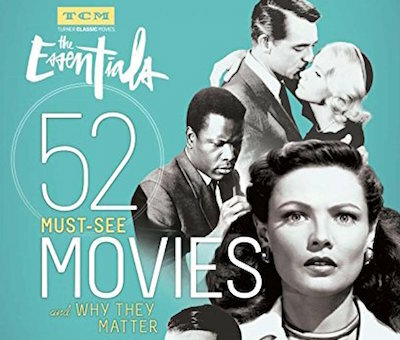 The Essentials: 52 Must-See Movies & Why They Matter, by Jeremy Arnold, is a guide to "fifty-two must-see movies from the silent era through the early 1980s." The fifty-two films, representing one per week for a year, were selected from TCM's The Essentials series. Each director is represented by a single listed film, except Alfred Hitchcock and Billy Wilder, who deservedly have two and three films each, respectively. Whereas most film lists include recent titles, this has no films from the last thirty years. Also unusually for a list-based book, it features an extensive bibliography.